This is totally out of context, maybe you should read the whole thing. 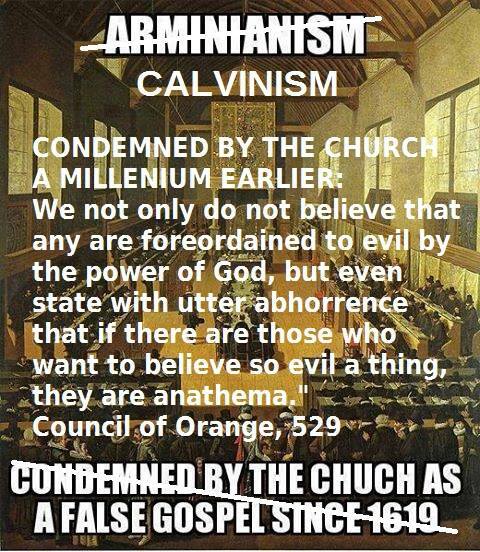 The Council of Orange did not condemn Calvinism. And that it is out of context because it is just saying the saved are not predestined to evil, just normal evil people?